Oh man, I’m getting really tired of reporting my diet fails here, so I’ll try to keep it short. Basically, I’m starting to wonder if my life is too chaotic right now to be dieting. The answer, of course, is no. When your life is ACTUALLY chaotic; overeating is the least of your concerns. When your life is TRULY chaotic - this is what you might look like. That said, Wendy’s Deluxes with no ketchup or mayo (at 250 calories each) and Budweiser Selects (at 99 calories each) are on the menu for this evening. It’s a small compromise from Budweisers (at 145 calories each) with Baconators (at 660 calories each) and some large fries (at 530 calories each), but it’s something. Yesterday, I totally failed. First, with a bowl full of meatballs covered in Puttanesca sauce and Parmesan cheese. 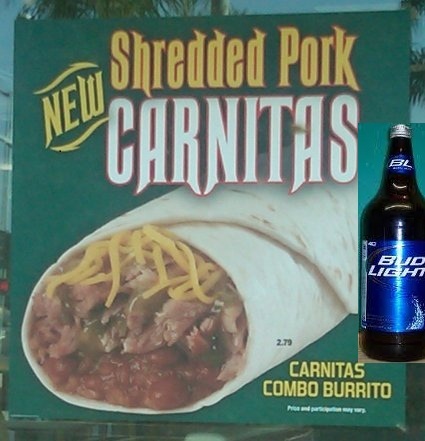 Then, on a trip to Del Taco where I had three soft tacos, two 40-ounce Bud Lights, and a carnitas burrito. By the way, if you were wondering if Del Taco’s new carnitas burritos are any good; they’re awesome – especially considering that they’re only $5 for two! Obviously, it’s not the same quality of carnitas that you might find in an authentic taco shop, but they’re pretty great considering the price. Last weekend was our first wedding anniversary, and my diet suffered a little bit as a result. I won’t go into the details, but it was pretty ugly. Yesterday, I got back on track with a 1,300 calorie day featuring a light lunch and a pretty normal pasta dinner. Lunches have definitely been the best part of my diet so far. Lately, I’ve been having these Asian soup bowls from Trader Joe’s. Originally, I was sticking to the $2 Trader Joe’s soup bowls, but the $1 soups are pretty tasty too! I thought that they were generic, American noodle soups, but it turns out that they’re imported from Thailand and have THREE packets of goodness that you get to add to your soup. In my opinion, it’s usually a good sign when your instant noodles come with multiple packets. When the directions say, “Empty contents of seasoning, vegetable, and oil packets into the bowl” – you’re in business!!! I’m going to keep this short, because my head is throbbing. I wouldn’t even be writing this if I didn’t have a couple pictures to share with you. Anyway, I was off to a good start on my diet yesterday with lunch. Trader Joe’s makes these great little soup bowls that you just add water to, so I was able to enjoy (Japanese) Miso soup with my Japanese Sencha. This soup is a heck of a deal for $2, and a great lunch at only 220 calories! I blame the shot glass I was using for this particular mishap. I was keeping track of all my shots (for diet purposes), and I had 8 – which usually isn’t black out territory for me? This morning (afternoon), I think I got to the bottom of this mystery. THE SHOT GLASS IS HUGE! I was only filling it to the first line on the bottom of the glass, but I should have been able to tell that even that wasn’t the standard jigger size. Plan on picking up a traditional shot glass soon. Sorry folks! I didn’t count calories for yesterday, because it just didn’t seem fair. It didn’t seem fair, because I had just barely decided to lose weight yesterday afternoon, and it seemed like I should at least get to have on last hurrah. So I did. Sandwiches, chips, Trader Joe’s fresh pizza from the refrigerator section, Gorgonzola flavored crackers with baby Swiss cheese on them, and vodka. The vodka and crackers with cheese are what I really want to talk about. My random decision to pair Trader Joe’s baby Swiss (that happened to be on sale) with their Gorgonzola flavored crackers turned out to be a serious win. I highly recommend it. 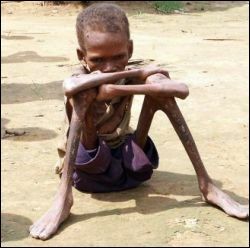 The only thing I really did to change my diet was drink vodka instead of Bud Light. 😆 This lead to a grand savings of 200 calories for me. 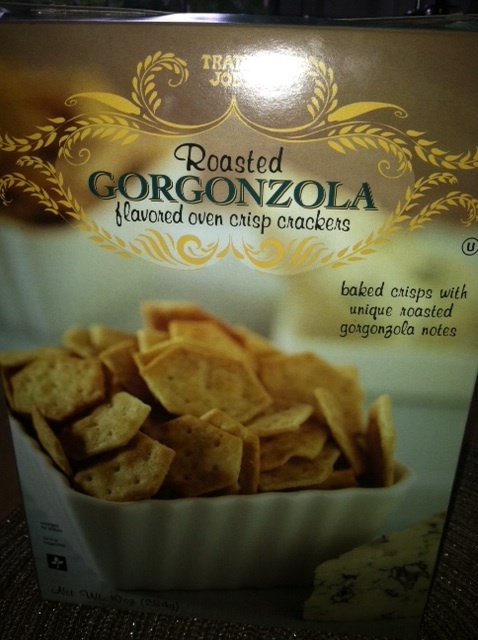 Although, after eating my fill or pizza and crackers with cheese, this was probably a drop in the bucket. 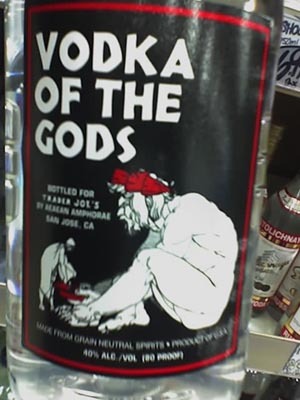 However, the booze switch did lead to the discovery of another great Trader Joe’s “Vodka of the gods”. NOT TOO SHABBY. Nice, big bottle of decent vodka for $10?! What? If you’re new to our blog, then you might wonder why it’s called Healthy Professionals. After all, most of the time there’s only one new post here every week – and it’s a video about tea?! We figured that we’d start by putting some embarrassing pictures on the internet so that there would be no turning back. We would have to lose weight or be eternally ashamed by the fact that our fatty pictures on the internet are how we actually look in real life. Thankfully, I'm not currently THIS fat, but close. For months, we blogged every day – listing our calories eaten, calories burned, recipes, items eaten, and it worked! Both Lisa and I got down to a weight that we were comfortable with. We didn’t follow through with our exercise plans after doing so, but mission accomplished nonetheless. The weight was gone. I’ve seen many an angry tweet and blog detailing people’s frustrations with the Tea Party Movement (mainly, the fact that it has nothing to do with tea). All we need to do is start TAGGING our tea entries with tags that evoke the ideals of the Tea Party Movement. Okay, I understand this might not be something you would want to do on Twitter, but what if it was a little more subversive?